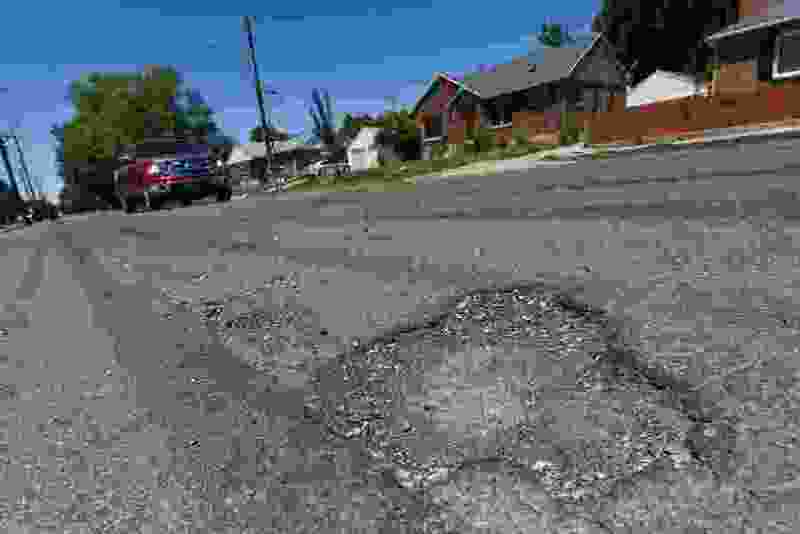 (Francisco Kjolseth | The Salt Lake Tribune) Numerous streets in Salt Lake City are in need of repair or replacement. On that list is 2700 South where long stretches east of 1300 East have become a rough road to travel. The Salt Lake City Council is on track to authorize a November referendum seeking voter approval for an $87 million bond to fund up to 10 years of catch-up road repairs. The new money for roads would more than double the amount of maintenance the city could do each year Ñ from 75 to 155 lane miles. As a longtime resident in the Sugar House area, I see that it has become increasingly difficult to maneuver the streets because of ongoing reconstruction of 1300 East. I appreciate the upgrades but want to include some observations from the honorary position I maintain as a member of the "Cranky Old Men's Brigade." Aside from the heavy machinery parked along the sides of the road, various potholes, giant asphalt cracks, bicycle riders with earbuds and constant pedestrian red light crossings at the college, there is the new complication caused by flying Limes and Birds. To make matters worse, they are mounted by young adults, seemingly indifferent to danger.